Experience the joys of wine country in the heart of Chicago, IL with this pop-up tasting showcasing nine exceptional Boisset Collection wines from Napa, Sonoma & Burgundy all in one location, hosted by Kathy McKean, National Development Manager and Marnie Old, Director of Vinlightenment, for Boisset Collection. If you have a taste for fine wines, enjoy socializing or have ever thought about dipping your toe into the wine business, then this “try before you buy” wine event is designed just for you. 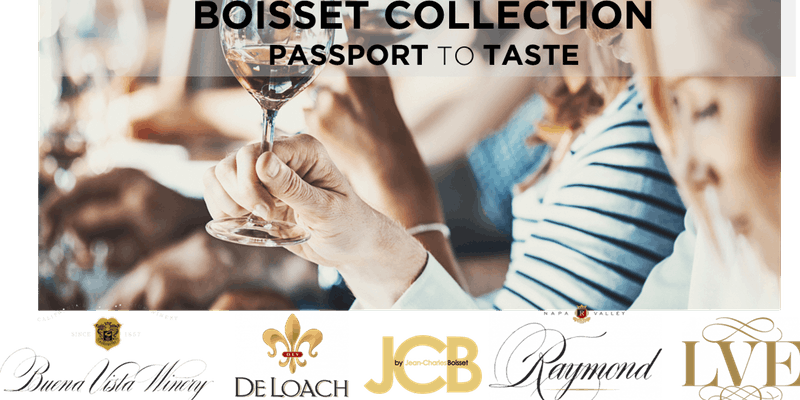 Enjoy a tasting tour through 4 Boisset wineries from the renowned luxe vintner JCB, Napa Valley’s Raymond Vineyards, Russian River Valley’s DeLoach Vineyards and California’s most historic winery, Buena Vista, that will include exclusive tasting room bottlings not available elsewhere. Collect Passport stamps for your chance to win a beautiful piece of jewelry from the wine-inspired JCB Jewelry collection. Guests will receive complimentary shipping with purchases of $150 or more (plus 10% savings on 12 bottles or more! ).